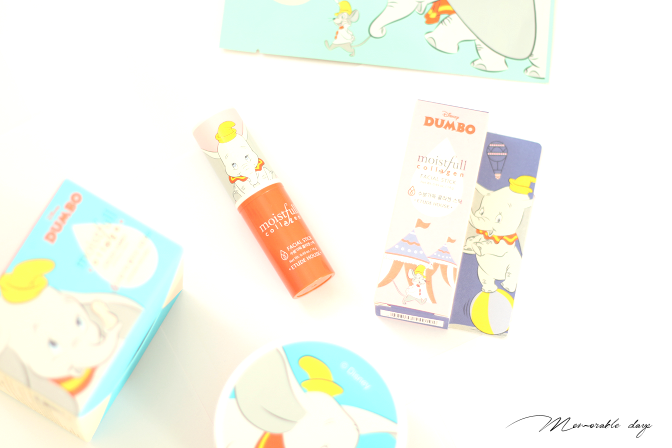 Review: Etude House x Dumbo Moistfull Collagen Facial Stick | Memorable Days : Beauty Blog - Korean Beauty, European, American Product Reviews. Hi All! 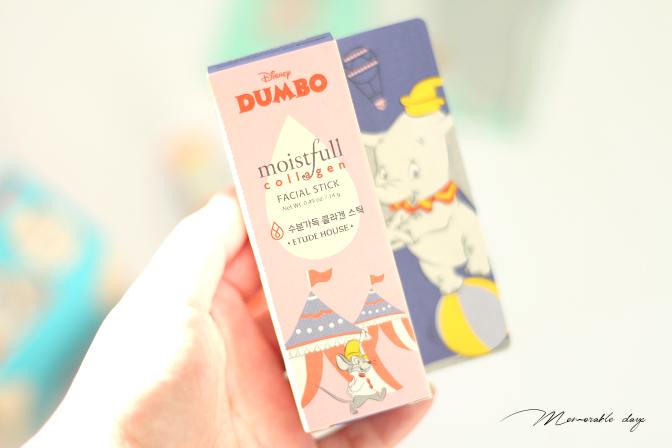 My Etude House x Disney Dumbo is complete now! 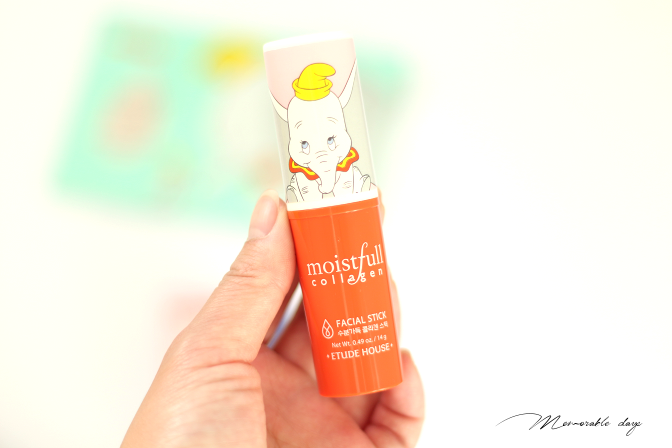 Etude House sent me their moistfull collagen facial stick to me for review. If you haven't seen my previous review about their Disney Dumbo collection, feel free to click here. 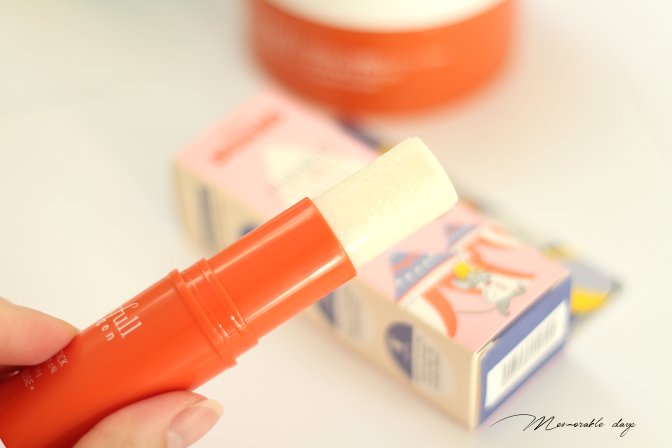 In today's post I will be reviewing the facial stick of the moistfull collagen line. Yes! The Facial Stick! What is it? This stick provides moisture and leaves your skin feeling bouncy. It contains small particles of the super collagen water and baobab oil in the moistfull collagen stick. It basically protects your skin from getting dry. The scent is the same as the other moistfull collagen products - fresh & floral, pretty overwhelming. I am usually not a fan of overwhelming scents, but I found this one alright since it's fresh. It's a personal preference anyways. It has a balm texture and it has a lovely cooling effect which surprised me. 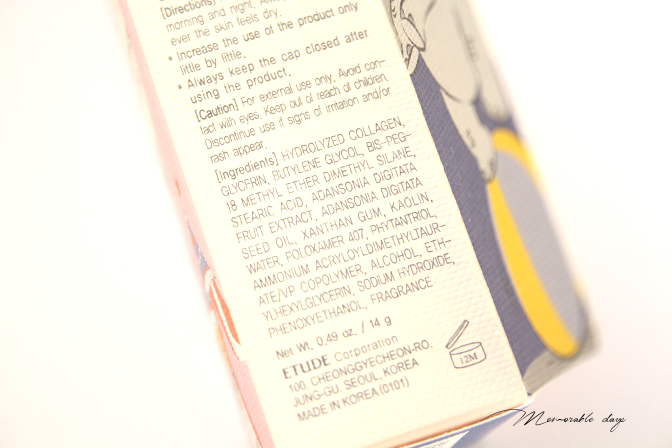 You are able to purchase it at Etudehouse.com for USD$12.-. This is their limited edition Dumbo packaging. The product isn't different from their usual moistfull collagen facial stick, only the packaging is different and is available for a short period of time. 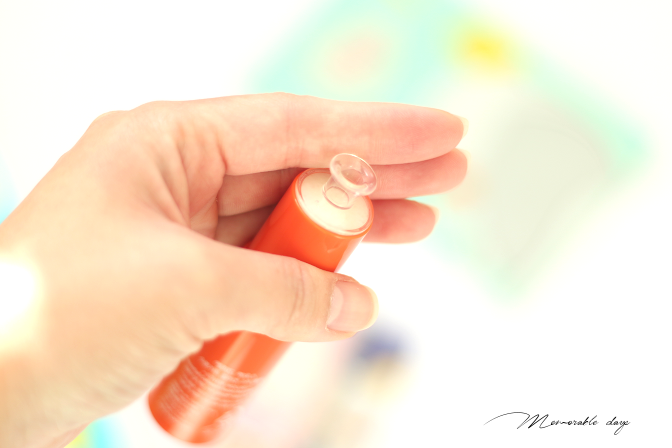 Don't expect high moisture from this facial stick, the mositure is very light. You can basically apply this anywhere on your face after your skincare routine, but I prefer to use it under my eyes only since it has a lovely cooling effect. Don't apply this when you have make up on though, your make up won't look nice if you apply this on top of it, and your stick will turn gross because your make up will stuck in it. This facial stick is a nice item to keep me awake. It's useful and easy to use and gives instant light moisture.